Kristen brought all her past professional marketing, negotiating and land development skills to the Maui Real Estate community. Kristen attended the University of Arizona and Wheaton College, Norton MA. She has a Masters in Urban Planning and Landscape Architecture with postgraduate work and architecture. During and after graduate school Kristen worked in a civil engineering firm in land development and for the City of Tucson Planning Department reviewing and approving Land Development Subdivisions. She successfully led a multi-million dollar design of an Urban Bridge Park in West Seattle WA. Kristen became Project Director for the Pacific Institute and Lou Tice in Seattle, WA. She excelled in marketing educational products to the Board of Directors of Fortune 500 companies including Harley-Davidson, Northwest Airlines, Nordstrom, Caterpillar and Hollister. 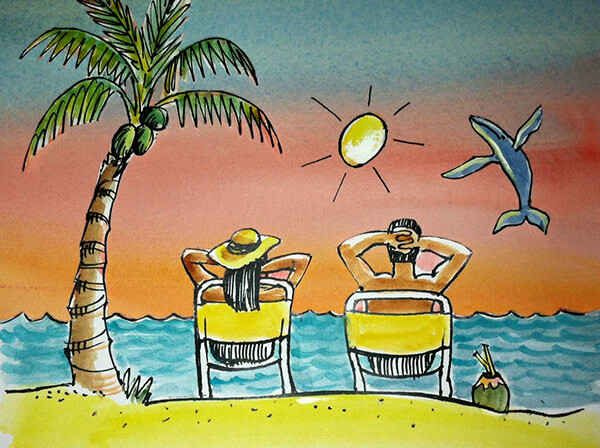 After moving to Maui she met her husband and together they opened an art gallery. Kristen’s work in Real Estate is an extension of her corporate business skills and marketing experience. She quickly became successful and consistently achieves CB International President’s Circle Award, placing Kristen in the top 5% out of 93,000 Coldwell Banker Realtors Worldwide. Take a look at the West Maui real estate listings by area. 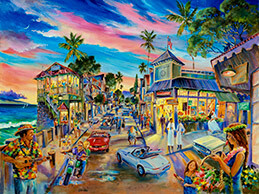 Lahaina is a historic town that has become a Maui hotspot with dozens of unique art galleries, shops and restaurants. With three miles of white sand and crystal clear water, Kaanapali Beach has been named one of America’s Best Beaches. 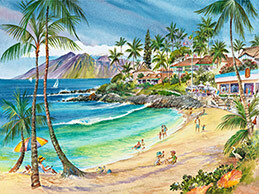 Napili, Kahana, and Honokowai are beach towns on the northwestern shore of Maui between Ka'anapali and Kapalua. Kapalua is a golf and beach resort in Kapalua, Hawaii on the northwest shore of the island of Maui near Lahaina. Papakea Resort is a peaceful Hawaiian style low rise resort on 13 acres just north of Ka’anapali Beach in Honokowai. Olowalu is a community on the West Side of Maui located about 4 miles south of Lahaina on the Honoapiilani Highway. Let Kristen explain in her own words why she can help match you to the perfect property in West Maui. Living in West Maui for over 20 years is a great start. She knows the territory. 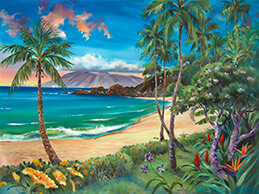 Sign-up for my Maui Real Estate Newsletter. I had been looking and looking for a good deal on Maui and Kristen helped me find one. And because of the market here we needed to jump on it fast. I was first in line and got it. I am so happy with my new condo. AND, after I put in the offer I left for a scheduled vacation to Japan. Everything went smoothly while I was away and Kristen made sure of it . I can highly recommend her. As first time Maui home buyers, and parents of two young children, we were very nervous about what was available in our price range. Kristen was extremely patient with us, and encouraged us to visit many different properties before making any decisions. When we finally did find something that we wanted she was amazing at communicating with the listing agent and getting answers quickly. At no point did we ever feel pressured, or like we were doing the wrong thing. She even took the time out of her own personal vacation with her family to talk to us, and close the deal! We would highly recommend Kristen to anyone looking to buy or sell a property on Maui. Kristen is extremely knowledgeable when it comes to the West Side, and very easy to work with. I am sure there are many qualified realtors on Maui. We personally recommend Kristen Kingwell at Coldwell Banker... Successful, hardworking & proactive. Kristen has lived in Maui for 17 years and she really paid attention to what we were looking for. She has the patience of a saint. With us living on the mainland she was at the condo numerous times to oversee all the things that needed to get done in order for the condo to close escrow and she continued to oversee the renovations we had done and gave us updates with pictures and videos. Good advice and great contacts and great follow through. You can get our number from Kristen if you want to call us for reference! 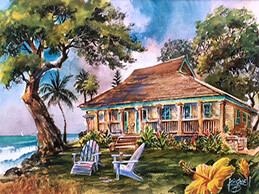 We have been interested in buying a house in Ka’anapali area for several years. We were referred to Kristen in January 2013. 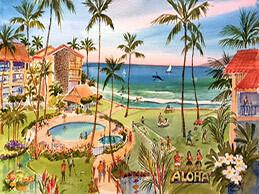 Since then, Kristen kept us updated of the Ka’anapali housing market. She was always easy to get in touch with and very patient. She helped us submit purchase contracts for 3 different properties. After 5 counter offers and negotiations, we finally got the accepted offer. Kristen also provides good advice and helps after closing. Kristen is very familiar with the West Maui and she is easy to work with. We are happy with the result. We met Kristen while looking at open houses in the Ka'anapali area. 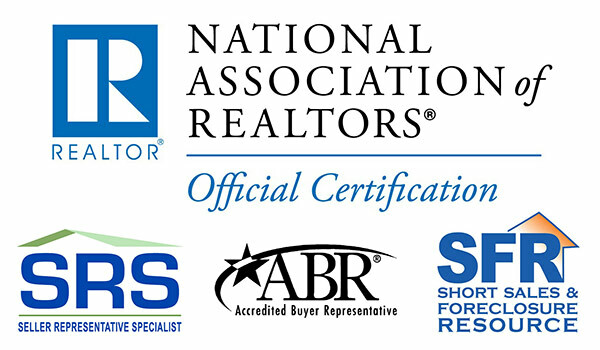 Our intent was to not only look at homes but also meet and interview realtors. We were extremely impressed from our very first interaction. Kristen was extremely knowledgeable of the area and made it clear that she was there to help us find the right home for our needs while being an advocate for the sellers she was representing. Kristen won our confidence and went to work finding properties that met our requirements. When we found a property that we wanted, she worked tirelessly to see the transaction through to closure. Kristen’s dedication to client satisfaction is second to none. Her dedication and assistance to us has continued long past the close of escrow. I highly recommend Kristen and assure you that she is the professional that I will seek out for any future real estate needs of my own. 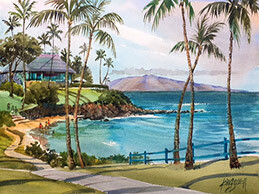 I needed to sell my father’s home on the Ka’anapali Hillside from 4200 miles away from Maui . The home had fallen in disrepair and was in need of a lot of work before we could even think about putting it on the market. Kristen hit the ground running and took charge. Her list of contractors was invaluable. She made sure the property was at its best before we put it on the market. She constantly held open houses. Once we had an offer I realized how good she truly is. There were many unexpected details because of the guardianship and Kristen was on top of everything. It was a very complex sale and she made it easier than I ever thought possible. I’d unequivocally recommend Kristen as she exceeded my expectations in every way. You can trust her to get the transaction done.